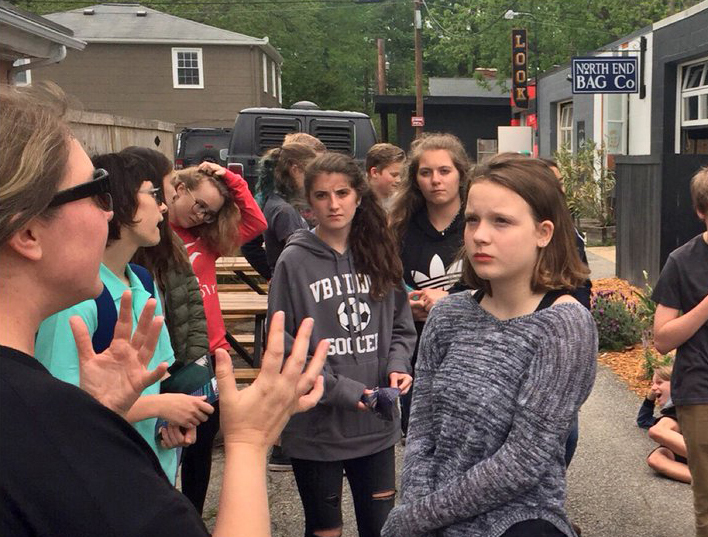 Wander through the arts and culture district by the Virginia Beach Oceanfront and discover a unique community collaboration between Virginia Beach Middle School (VBMS) and the ViBe Creative District. 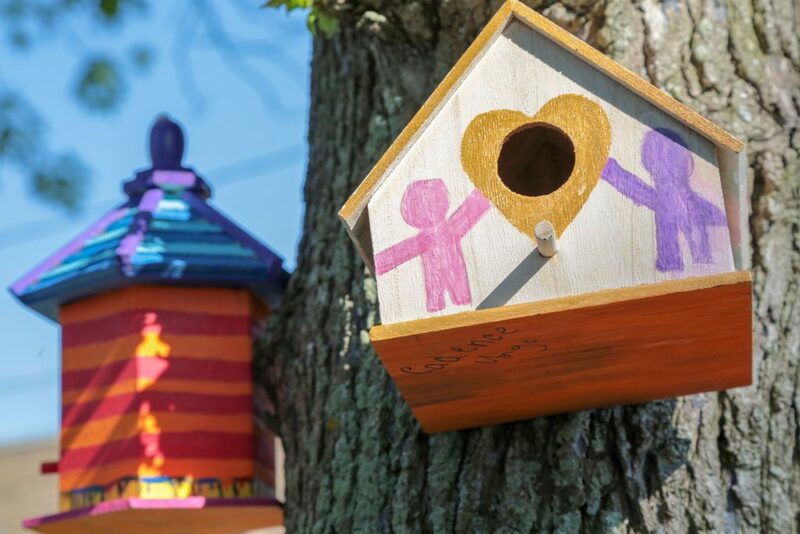 This service-oriented pop-up public art installation—featuring bird houses representing local businesses—was officially unveiled during the community’s First Friday event June 1 in the 18th Street Parklet. 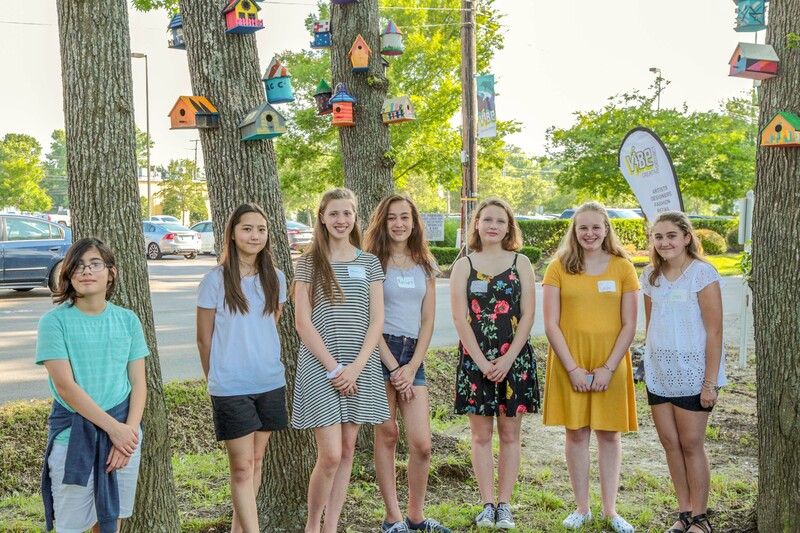 The temporary installation, designed and built by VBMS National Junior Honor Society (NJHS) students, were the result of students being challenged to look at their bird house as a symbol of community and asked to explore how public art impacts neighborhood development, community building, authenticity and creative enterprise. The students were asked to paint, decorate and embellish wooden bird houses to represent either a local business, creative industry or public artwork found in the district. 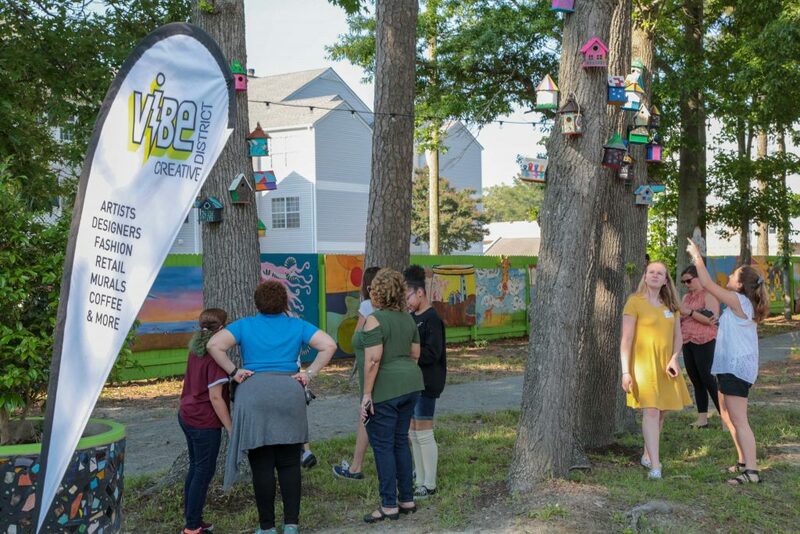 During the initial meeting Pittman took the students on a walking field trip of the ViBe where they saw new community artwork and met local business owners to get a sense of the neighborhood their bird houses are representing. 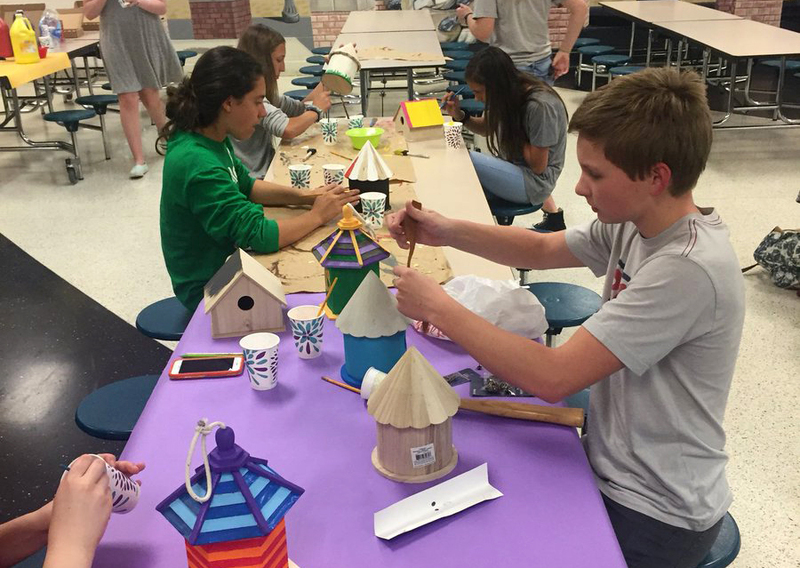 Under the guidance of Nichols and Pittman, more than 50 students spent two weeks designing and their bird houses. 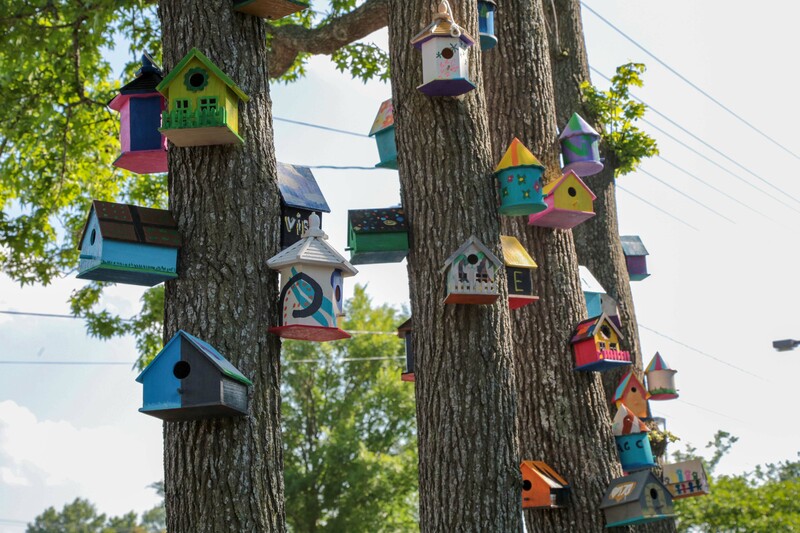 Aside from adding a splash of whimsy and color to the streetscape, the exhibition is part of a larger effort to bring the surrounding community together – for Ungs, it changed how she defines community. The student’s installation is intended to remain in place for up to three months. For more information about community engagement and partnerships, contact the school division’s Office of Community Engagement at 757-263-1936.